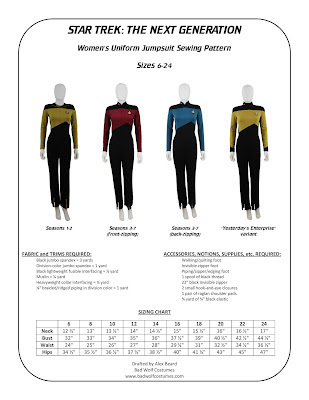 Star Trek Costume Guide: Women's TNG jumpsuit pattern - now shipping! Bad Wolf Costumes' women's TNG jumpsuit pattern is now shipping! The men's TNG jumpsuit pattern is hot on its heels!